Hibiscus blooms are stunningly beautiful to gaze upon. A tropical flower, so vibrant and lovely. With its bright petals that grow in the shape of a trumpet with a stamen that’s a wonder. The flowers cheerful energetic colors are able to make us happy and lighten our day. 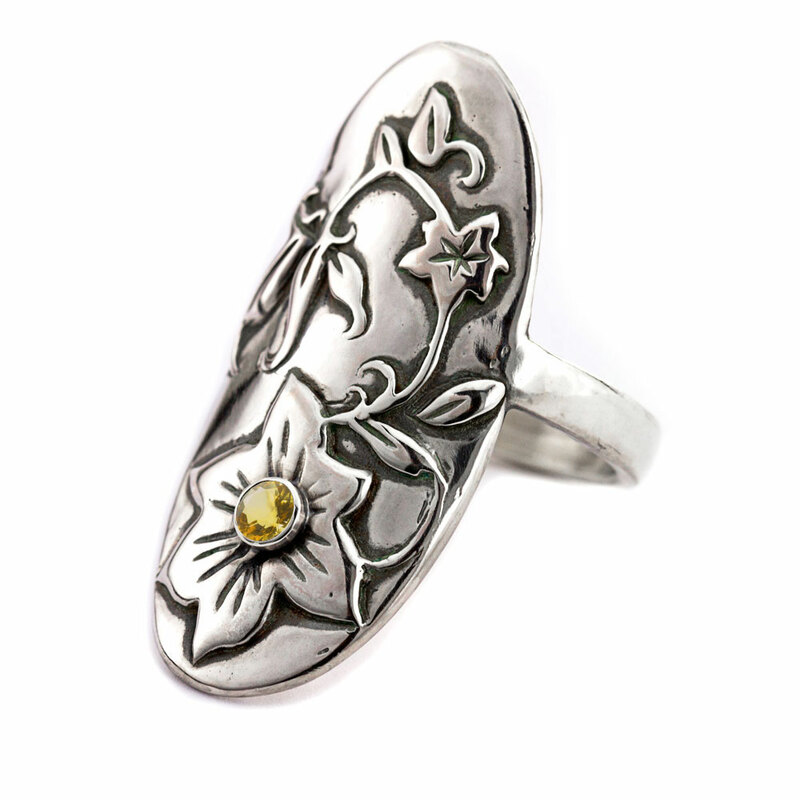 The Hibiscus Flower Ring is a highly detailed sculptural work of art, that will add flourish and femininity to your wardrobe. 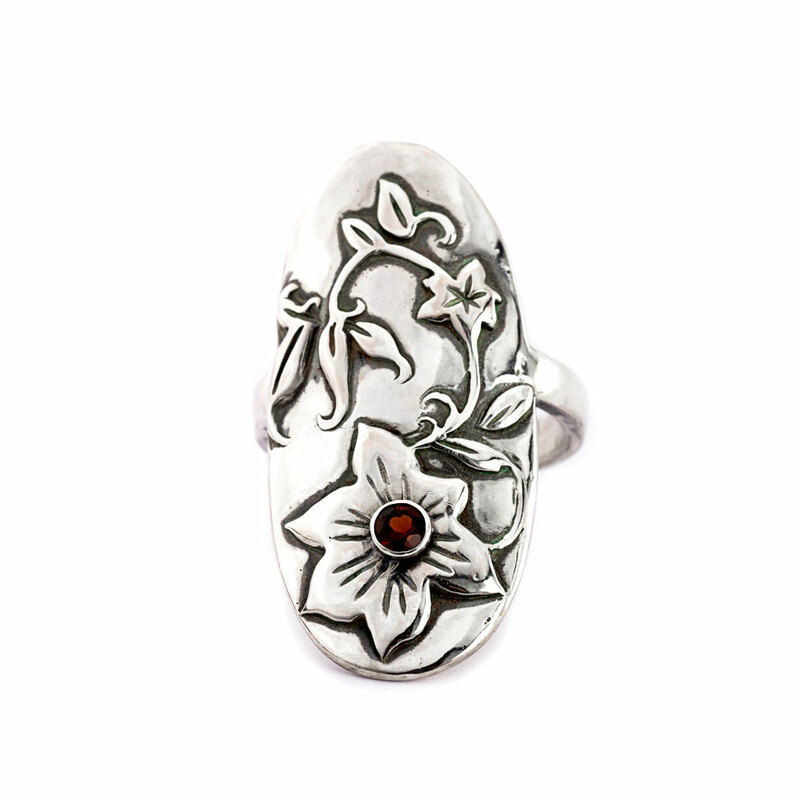 The ring is designed so that the flower is facing outward, and therefore more comfortable when worn. First, I made the Hibiscus Flower design using my own technique described here. The design is lost wax cast and solid sterling silver. 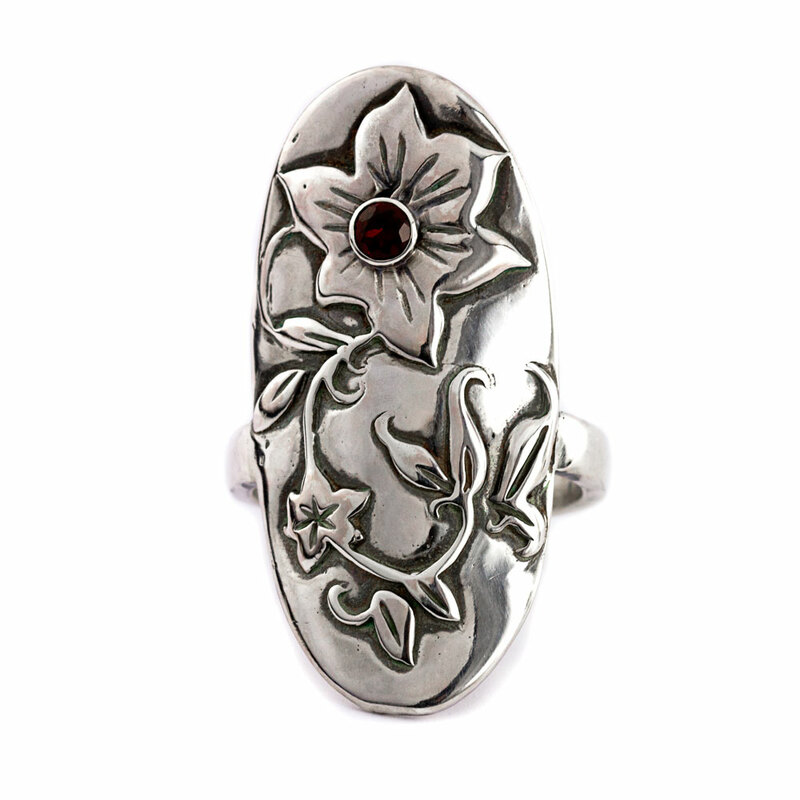 I then shaped the design into a saddle and soldered it to an elegant and comfortable sterling silver wire. 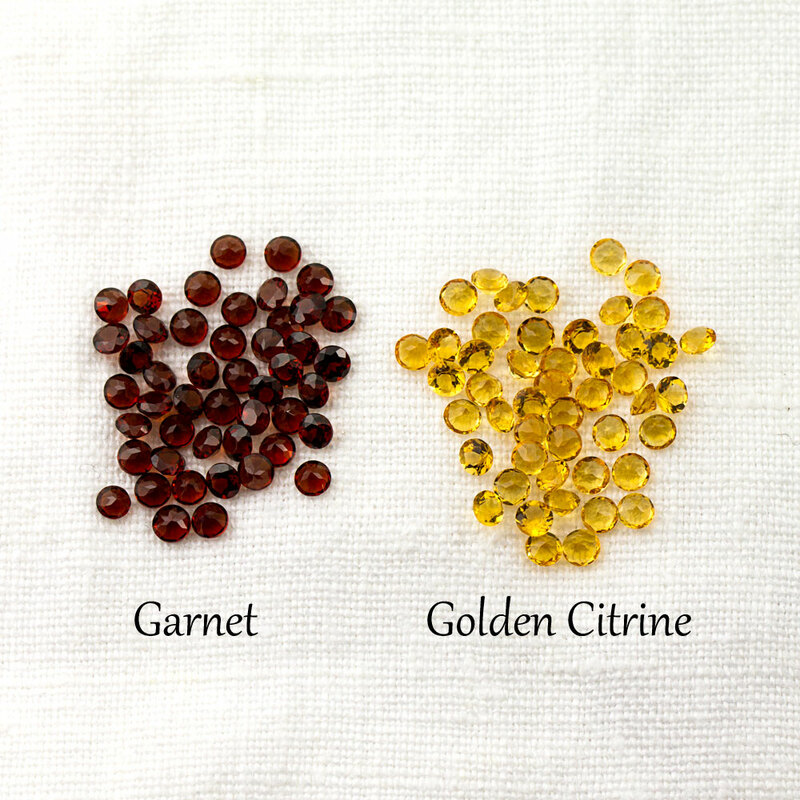 The center of the flower is set with a 3mm faceted gemstone that you choose, either Garnet or Golden Citrine.